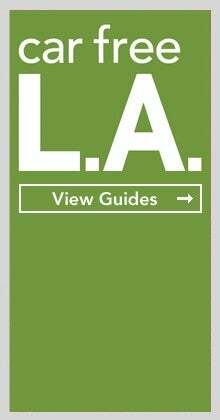 How to Explore LA | Travel Guides | MeetL.A. Los Angeles is a destination unlike any other: it’s the entertainment capital of the world, offering 75 miles of sunny coastline, a flourishing Downtown, lifestyle playgrounds for the rich and famous, acclaimed restaurants, trend-setting art and fashion scenes, and internationally flavored neighborhoods. With so much to see and do, it can be overwhelming. Fortunately, Los Angeles provides numerous ways to explore the city, whether it’s driving on iconic streets and scenic drives, riding the Metro Rail, or pedaling along hundreds of miles of bike paths. The best way to begin exploring L.A. is to learn about its vibrant regions — each one a destination in itself, filled with memorable experiences and unique attractions. For those with disabilities, L.A. offers convenient access to transportation and attractions. Los Angeles is a destination unlike any other: it’s the entertainment capital of the world, offering 75 miles of sunny coastline, a flourishing Downtown, lifestyle playgrounds for the rich and famous, acclaimed restaurants, trend-setting art and fashion scenes, and internationally flavored neighborhoods. With so much to see and do in this global metropolis, the best way to begin exploring L.A. is to learn about its vibrant regions — each one a destination in itself, filled with memorable experiences and unique attractions. 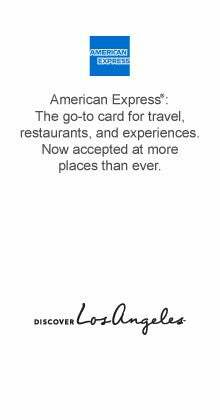 Los Angeles provides a variety of ways for travelers to visit, whether it’s by land, sea or air. Interstate highways connect L.A. with the rest of the country, while Amtrak trains service California cities, Seattle, Chicago, and Louisiana. The World Cruise Terminal is the West Coast’s largest cruise terminal, with one million passengers boarding cruises lines every year. Los Angeles International Airport (LAX) is the fifth busiest airport in the world. Explore Discover L.A. for the best ways to travel to Los Angeles. There’s so much to see and do in Los Angeles, it can be overwhelming. Fortunately, you can explore L.A. by car, bike or public transit. One of the best ways to see the sights is by driving on legendary streets and scenic drives. Metro’s subway trains, light rail and buses transport thousands of daily riders. Hundreds of miles of bike paths welcome a growing number of bicyclists. Whether you’re a first time visitor or a lifelong resident, Discover L.A. has the best ways to get around Los Angeles. Discover L.A. is the best resource to explore Los Angeles. One of the most popular ways to experience L.A. is by enjoying free activities, from taking a scenic drive to visiting top cultural attractions. 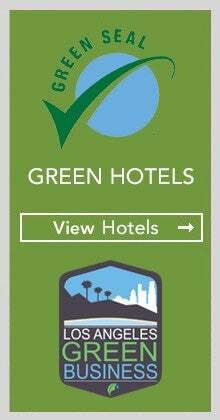 Los Angeles remains ahead of the curve when it comes to green travel, from public transit to eco-friendly hotels. Whether it’s luxury or budget, family friendly or singles, Discover L.A. has the best itineraries and guides in Los Angeles.